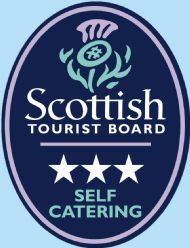 Self catering cottage in the North Highlands by the Dornoch Firth at the centre of the North Coast 500. 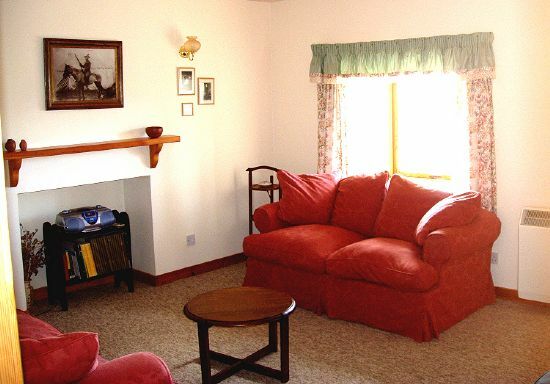 Based a few miles from Royal Dornoch near the main A9 Road to Orkney (a popular day trip) and an hour North of the Highland capital, Inverness, this holiday cottage has all the facilities you need for a relaxing holiday. Sitting deep in the North Highlands of Scotland, Achue Croft Cottage provides a comfortable fully equipped holiday cottage amongst some of the country's most beautiful landscapes. With wildlife, birds and even a few sea based mammals (seal and bottlenose dolphins) alongside the trout and salmon fishing there is plenty to see and do in and around this rich natural habitat. Achue sits at the centre of the NC500 with all parts reachable in a day's drive. 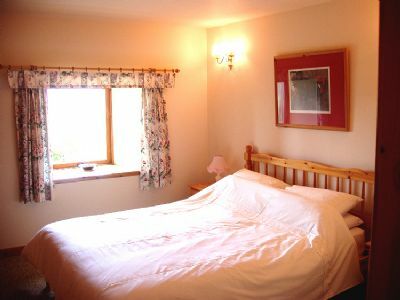 A traditional 19th century croft cottage, fully renovated in the 1990's, Achue has everything you would expect of a 21st century self-catering holiday home, including beds for up to six. The cottage feels relaxingly remote with the nearest houses just visible on a clear day, yet it is less than three miles to the village of Bonar Bridge , w here you can find shops, hotels and a café. The world-famous Royal Dornoch Golf Club is only a 20 minute drive away, and the capital of the Highlands, Inverness, only an hour. and ask us anything you like. Otherwise, please read on, in these web pages we have tried to to summarise some of the common features and interests our guests enjoy in this truly magnificent part of the Scottish Highlands. 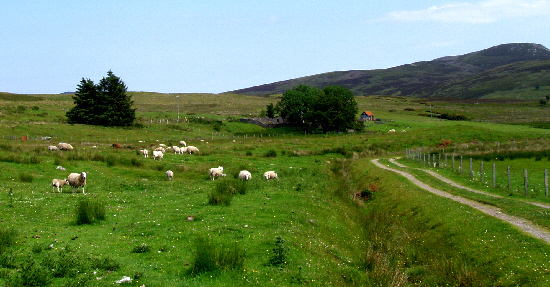 The cottage is on a working croft where we try to keep alive some of the traditions and practices of the Highlands, keeping sheep and a range of poultry.